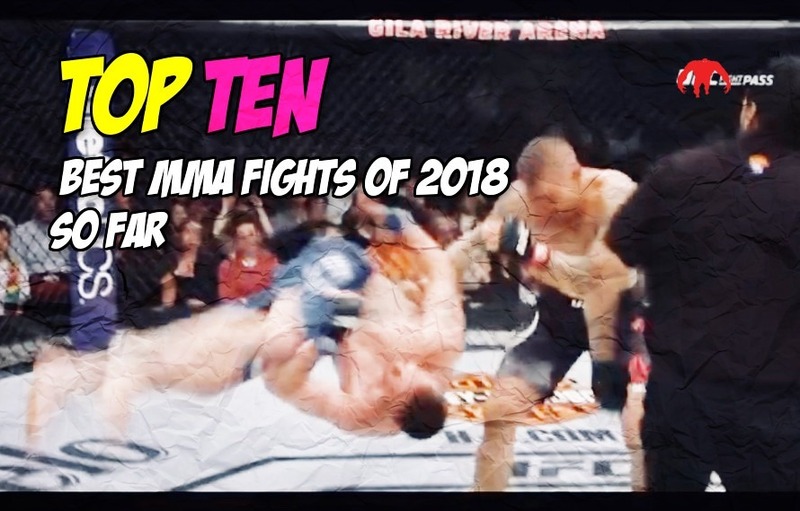 As we pass the midpoint of 2018 it’s best to look back and decide what were some of the best brawls of the year. Two of the greatest warriors to ever grace the confines of the octagon did not disappoint when they decided to throw down heavy leather in Glendale Arizona back in April. It was sheer violent chaos for 12 minutes. Surely one of the best fights in UFC history. The encore to one of 2017 best fights lived up to the hype, it involved five rounds of sheer violence where two middleweight kingpins went to war with each other. In the build up to the UFC Singapore card this was a fight nobody really gave any attention to. It was simply a little sprinkle on the Donald Cerrone VS Leon Edwards cake but it was one incredible sprinkle. Although it only lasted three minutes; it was one of the greatest three minutes ever as OSP amounted a remarkable comeback. Jeremy Stephens is an incredibly vicious and entertaining fighter and he once again showed why he is one of the most impressive finishers in the featherweight division when he took on the tough heavy hearted Josh Emmet. Brian Ortega a jiu jitsu guy did the unthinkable when he knocked “The Answer” out of this galaxy back in March. A fight that would cement Ortega place as a real contender in the division. Although most people salivate over Rizins excellent JMMA nostalgic inducing production they do manage to put on some ridiculously good fights like when Kai Asakura fought Manel Kape in May. Kape is known for his lunatic-esque persona inside and outside the ring whilst Asakura is more of a good technical brawler with shoot the lights out knock out ability. When they scraped at Rizin 10; sheer unfiltered chaos ensued. Who doesn’t love Tai Tuivasa? The man is the king of shoeys and seems to have the potential to be one of the biggest personalitys in the sport. At UFC 221 he let his knees and elbows do the talking as he elbowed Cyril Asker to oblivion. Amongst hard-core MMA fight fans this fight was being touted as having the ability to be one of the best of the year. Horiguchi was primed to be entering the peak of his athletic career whilst Ian McCall seemed motivated and charged to destroy the Japanese fan favourite. It only took “The Guuch” 13 seconds to finish McCall in one of MMAs most shocking fights of 2018. Next articleBrendan Schaub Claims He and Dana White Are Eskimo Brothers… Who Could It Be?